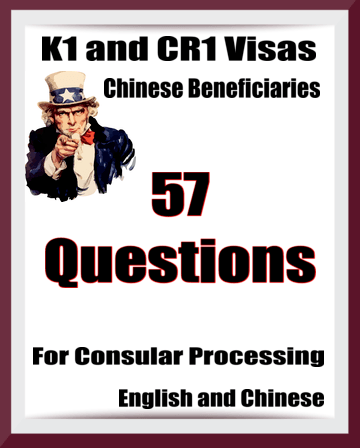 ​We've combined questions from USCIS forms and Visa Applications to create an all-in-one questionnaire. USCIS wants proof your dating website is not an international marriage broker. How do I prove I'm single so I can marry in China? How do I write a Letter of Intent for an I-129F petition? What are Children K2 and CR2 age limits? ​Can my fiancee come to the U.S. and get married on a Tourist Visa?